Sara is 22 and has always been alone. Her only companion is her 6-month-old son. Dani is the man of her life and also the father of her child, but they are not a couple anymore. With her younger brother, Sara dreams of rebuilding the family she has never had. But one day Manuel returns. The father who abondoned them both now wants to regain the companionship of his children. But there are certain wounds that can’t be healed. 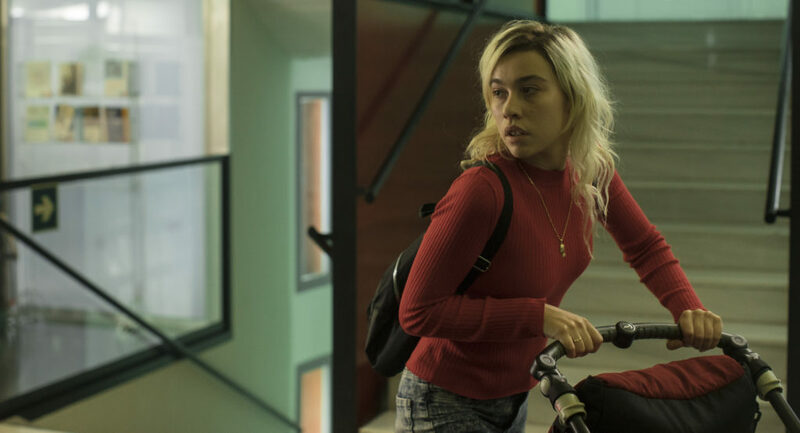 La Hija de un Ladrón pretends to explore toxic relationships that nest within the family and configure the adult self. At the centre of the story we find Sara, a 21-year-old woman marked by her relationship with her father: a selfish and intermittent man that has suddenly decided to return. The solitude Sara was forced into during her childhood and her adolescence made her into a strong and decided woman that yearns for the love of a father, who will inevitably disappear again. Sara fights against the power of blood. She fights to prevent the man who gave her life from taking it away from her again.